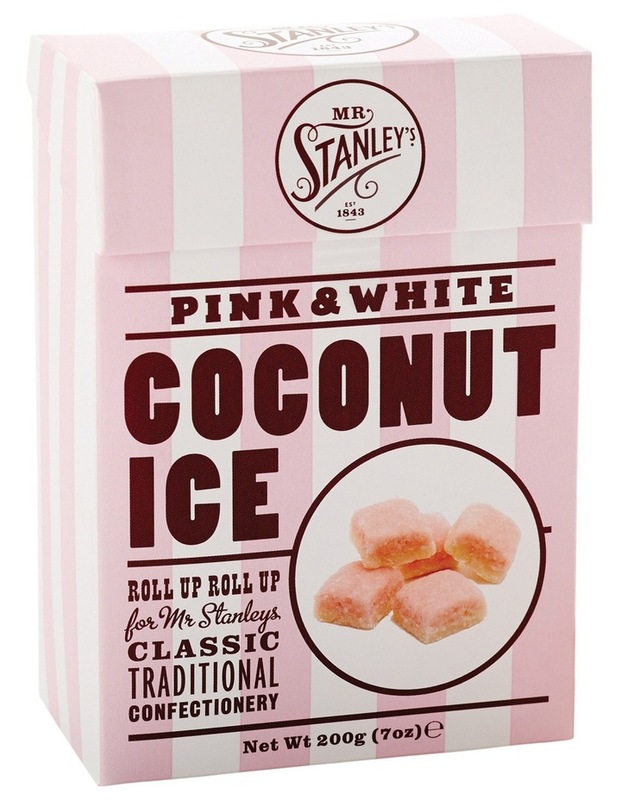 Mr Stanley's Pink & White Coconut Ice 200g gift box contains pieces of sweet and crumbly sugary coconut flavoured sweets. 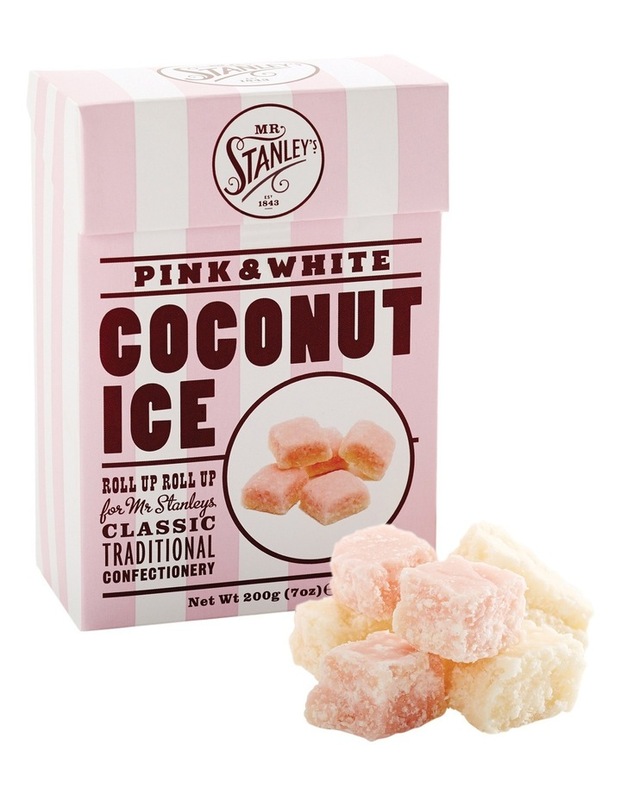 This traditional coconut ice is produced in old-fashioned copper pots, cooled and hand broken into bite-sized pieces. Since 1843 Mr. Stanley has brought the finest British confectionery to market. Originating from Yorkshire in England, Mr. Stanleys brings together a signature range of confectionery displayed in eye catching and contemporary packaging. Even to this day Mr Stanleys products are produced using traditional recipes and methods taking you back to a taste from the past. ALLERGY ADVICE: Contains SULPHUR DIOXIDE. Not suitable for PEANUT, NUT and MILK allergy sufferers. Manufactured in a factory that also handles NUTS, PEANUTS and MILK.